When we began the year, we had just reached our five-year mark, had stuck closely to our growth plan, and had laid the foundation for 2016 to be a breakout year for the company. As our CEO, Todd Lambert, repeatedly said, “2016 was going to be our time.” And it was due in large part to our employees, customers, and partners, for whom we are enormously grateful. Once again, we managed the housing process for the Democratic National Convention – an enormously complex process involving hundreds of sub-blocks and room types as well as several moving parts up through the event. In addition to strategizing with the 2016 DNC Committee (DNCC), we facilitated reservations for over 90 hotels; managed and allocated meeting space; and oversaw event space at over 20 venues. It was incredibly satisfying to pull off housing for another convention, and we couldn’t have done it without our dedicated employees, our solid partnership with the DNCC, and best-in-class technology, Passkey Citywide. 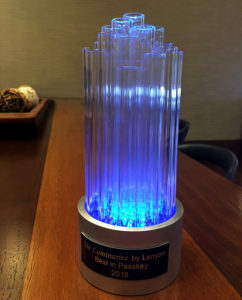 2016 Lanyon Luminary Award for Best in Class and Company of the Year – Passkey Citywide. Based on our work for the 2016 DNC, we received the 2016 Lanyon Luminary Award for Best in Class and Company of the Year –Passkey Citywide. Employees of Lanyon selected us for this award, citing our creative approach and strategic fulfillment for the 2016 Convention. We were also named, for the second consecutive year, to the National Association for Business Resources’ “101 Best and Brightest Companies to Work For” list. 2016 was also a year in which we welcomed many new clients to our roster. We attribute these wins to the relationships we’ve built over the years; our reputation for managing complex, large-scale events; and the dedication of our employees, who go above and beyond to offer stellar customer service. American Telemedicine Association (ATA): ATA, naming our strong customer service as just one reason for selecting EventSphere, signed us on to manage its annual conference and other events. Girl Scouts of the USA: Girl Scouts admired how we handled the DNC and chose EventSphere to initially manage one show in 2017 and, based on our performance, hasve extended the partnership agreement. Emerald Expositions: We initially partnered with Emerald Expositions, one of the largest tradeshow producers in the US, on one show and are slated to manage numerous other shows throughout 2017 and beyond. 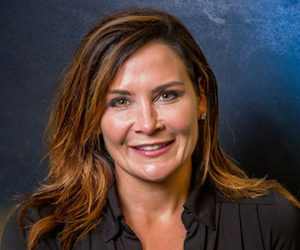 Wanting to further accelerate our growth, we hired our first official Vice President of Business Development in 2016 – Tracy Barrett Janosko. With her extensive industry experience and network, Tracy is an invaluable addition to EventSphere. We also promoted several team members including: Kimberly Parnell (to Executive Vice President); Alice Meadows (to Executive Director of Administration and Finance); Patrick Malone (to Senior Client Services Manager); and Lindsey Barth (to Senior Event Manager). Recently, Ken Fisk joined the team as Implementation and Experience Manager, a newly created role tasked with ensuring EventSphere delivers a positive client experience. As mentioned previously, last year brought several lessons, each of which we must heed if want to continue enjoying accomplishments like those cited above. Firstly, we appreciate that our accomplishments in 2016 didn’t happen by accident or by winging it; they happened because we created and adhered closely to a more formalized strategy and growth plan. We will continue to follow this plan as we go forward. Secondly, investing in our employees and creating a cohesive culture in which every team member feels respected and passionate about their work undoubtedly leads to higher employee retention rates and improved customer service. For us, the equation is simple … happy employees equal happy clients. Lastly, we’ve learned that you don’t mess with a winning formula. And based on our growth over the last year as well as positive feedback from our employees, clients and partners, we’re confident our formula — extensive industry experience, extraordinary customer service and cutting-edge technology — works. So, was this past year a tipping point for EventSphere? It sure felt like it, as we experienced more recognition and growth than at any point in our history. As we’ve grown, however, we’ve recognized that we needed to introduce stronger processes and greater structure to the company – while making sure we maintain the entrepreneurial spirit, personalized service and employee dedication that got us this far. Bottom line? We want to do more than just grow; we want to grow smart.